The Motorhead Assembly combines our tandem flapper check valve, hydraulic disconnect, hydraulic circulation sub, high torque anti-rotational subs and burst disc in one complete tool assembly. The Coil Solutions Motor Head Assembly was designed with industry standards in mind. 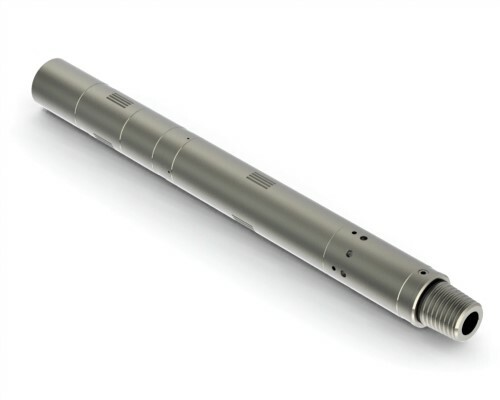 This tool was built for high torque, short Bottom hole assembly applications; easy & short redress time to accommodate today’s fast paced industry. The Motorhead Assembly is a combination of a Tandem Flapper Check Valve for well control, a Hydraulic Disconnect to allow separation from tool string with high torque anti-rotational capability and a Hydraulic Circulation Sub to help remove debris from around tool string. There is also an option for a burst disc to open the tool to the wellbore if circulation is lost.